There are times when there simply is no room to expand an existing shower. 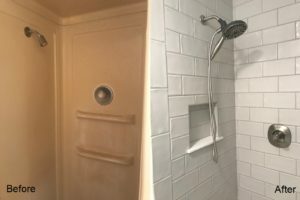 Most pre-fabricated showers have shelves that protrude into the shower space and the unit itself often sits as much as two inches away from the wall behind it. 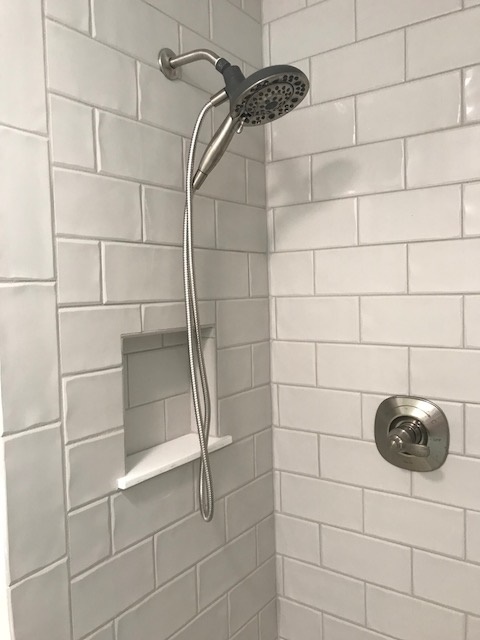 By upgrading to a tile shower that will sit flush with your walls, you automatically gain one or two more inches of space. When you complement this with recessed shelving you would be amazed at how open the space begins to feel. Finally, using smaller rectangular subway tiles will enhance the illusion of a larger shower. Lighter colored tiles also go a long way toward to making a smaller space feel more open and airy!